We regularly survey our customers and people who participate in our free trainings. I also get hundreds of emails from people in these programs. 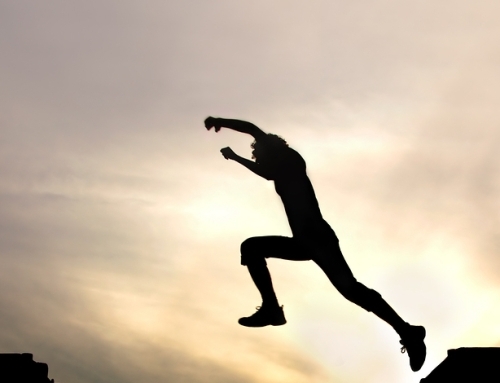 Consistently we hear that many of you are seeking momentum on your course idea. Momentum is that secret ingredient which propels your course idea from idea to reality. Yet momentum can be elusive. 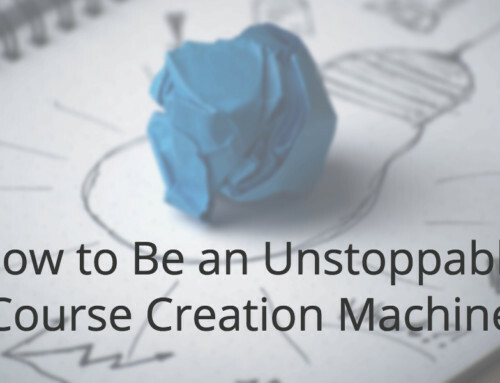 Too many course creators are in the “idea stage” of the course for weeks… months… even years. The idea stage is where you keep thinking about your course but never actually move forward to making it happen. It’s something that impacts a lot of course creators, but it doesn’t have to be this way. There is a proven process to get into flow and momentum with your course. Um… paging Captain Obvious? Isn’t the whole point to create a course that people want? Well, yes. But just because it’s obvious doesn’t mean it’s easy to pull off. Without talking to potential customers about what their needs are and if they would invest in the course. 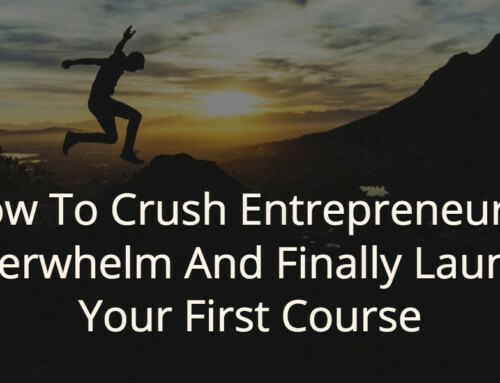 The only way to really know if you’re creating a course people want, is to try to sell it. Now, selling doesn’t always mean money needs to change hands. Could be as simple as asking 5 people to join a free pilot version of your course (making clear it’s not ready to start tomorrow, and what the timeline will be). (Where do you find those people? If you don’t have your own mailing list, start with personal networks: friends, family, colleagues in your field, and social media connections). The important thing is you’re talking to real people and getting them to commit time, money or both to your course. And, you have accountability to those people to deliver a course to them! Then you’re off to the races. And challenging your participants to take action. Then continue to build out the course based on what they find most engaging, what questions they are asking, and where they need the most help from you. A great way to do this is through live interactions: webinars, teleconferences, and private 1:1 calls with participants. Finally, of the most helpful mindset shifts you can make is to think of online course technology as an ally, not a barrier. And incredibly motivating – as you see your course take structure and life before your eyes. You can figure out the bare minimum needed to get your course going, and then learn a little more each day from there. But only if you have the right “inner game” (mindset, approach, perspective).